The animated Angry Birds movie came out quite a few years after the mobile games had become giant hits, sapping it of some of its pig-killing thrills, and now touchscreen horror series Five Nights At Freddy’s is getting a similar treatment—though hopefully it’ll work out better than The Angry Birds Movie did. 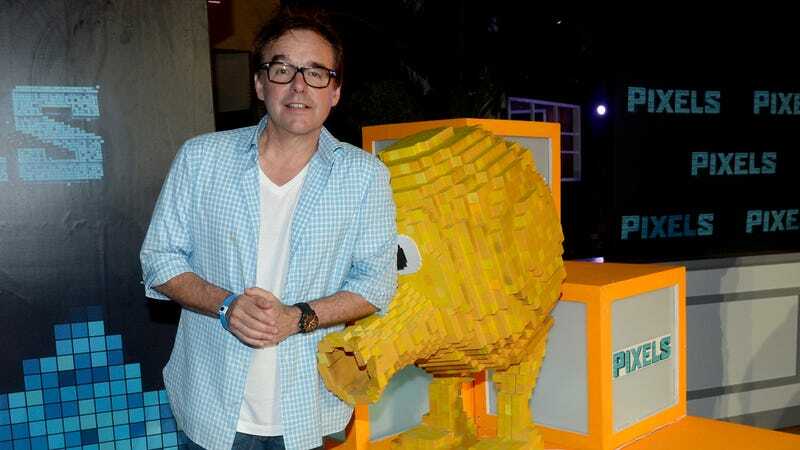 According to Deadline, Chris Columbus will produce, write, and direct a Five Nights At Freddy’s movie for Blumhouse, with the studio getting the rights after producer Jason Blum “won the allegiance” of creator Scott Cawthon. The games are essentially about what would happen if a Chuck E. Cheese’s were super spooky instead of being a fun-time pizza place, and the first game’s reliance on big jump scares made it very popular with the then-burgeoning YouTuber community in 2014 (which naturally made it very popular with the kids who like YouTubers). Since then, there have been multiple sequels, a ton of merchandise, and apparently “a series of bestselling novels,” with all of it centered around the idea of animatronic animal friends turning evil and trying to murder a security guard. Warner Bros. and New Line were developing a Five Nights At Freddy’s adaptation in 2015, back when the game was a bit hotter, but that project has evidently fallen apart in favor of this new take.